Nikon has affirmed that its decision to include a 36 million pixel sensor in its new D800 full-frame DSLR, comes down to offering consumers "choice" and people shouldn't be put off by the large number. 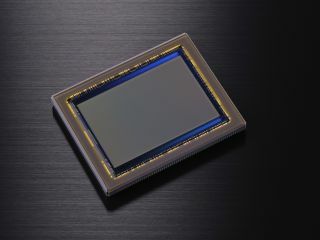 The large megapixel sensor was one of the most heavily rumoured features of the D800, with reactions ranging from disbelief to joy when it first emerged. Some maintained that Nikon would stick with a lower pixel count when the camera was finally revealed. However, the rumours turned out to be true, and, for now at least, the Nikon D800 is the world's highest resolution full-frame DSLR camera. But, for some, 36 million pixels is still too many. The huge file sizes produced by the camera has been cited as the key reason for complaint. D800 raw files are said to be approximately 76MB, while 16-bit TIFF files will take up a hefty 212MB on your hard drive. Speaking to TechRadar at the launch of the new camera, James Banfield, Group Support and Training Manager for Nikon, explained the decision. "It shouldn't be something that puts people off, it's about offering the photographer a choice," he said. "You have got the option to choose a lower resolution if that's what you need, or if you want to produce smaller files. "64 bit operating systems can handle these big files, so it doesn't really represent a problem. "We think the timing is about right to release such a high resolution product into the market. If you can edit HD video on a mobile phone, imagine what you can do on a highly specced computer." The Nikon D800 is expected to go on sale from March, with a UK price of £2399.99. Read our Hands on: Nikon D800 review for more information.